Our laptops, just like our desktop computers are essential to our business, work and even to our homes. A laptop is a great tool cause it is a portable computer that you can always bring anywhere you go. This brings convenience and efficiency for you and your tasks. But, our laptops are prone to getting faulty at times. That’s why PC Repairs Northlakes offer services that covers all of your laptop’s needs. PC Repairs Northlakes render services throughout the Moreton Bay and Northside Suburbs. Starting from Albany Creek and all other suburbs in Moreton Bay while starting from Albion and all others in Northside. Our laptop screens are made from fragile materials and can break easily. You may experience several laptop display problems in the future if you don’t take care of your laptop properly. These display problems may include: (1) Laptop Display is Black, (2) Laptop Display is Darker than usual, (3) Garbled Screen or Incorrect Colors, (4) Dots or Lines on the Screen, and (5) Screen Alternates Between Dim and Bright. Aside from display problems, a broken screen is more of a headache. After a careless handling of your laptop or accidentally smashing the screen, a repair can not undo what’s done. You might need a replacement for your Laptop’s LCD. PC Repairs Northlakes can help you replace your LCD. Our technicians are experienced in Laptop repairs and LCD replacement. Plus, we provide solutions for the display problems mentioned above. Hard drives are magnetic storage devices prone to eventual failure of its ability to store and locate files. There are several hard drive problems that we commonly encounter. (1) A Blue Screen Of Death (BSOD) is an effect of hard drive failure. (2) When your laptop freezes or doesn’t start up properly, there might be a problem with your hard drive. (3) When a message that says “Operating System not found” or “Missing Operating System” pops up, then there’s something wrong with your hard drive. On the hardware side, a noisy hard drive (when running) is a sign of trouble. Hard drives are designed to run smoothly and almost discretely. For these kinds of hard drive problems, you can absolutely trust PC Repairs Northlakes to fix them. Our technicians will try to solve and fix these hard drive problems with utmost care. Our professionals are guaranteed to be hard drive doctors. Your laptop’s system board is also a highly sensitive part of your computer. Some of the common causes of a motherboard failure are the following: (1) When a brownout occurs, there’s a big chance that your motherboard gets overcurrent or undercurrent in a split second when your laptop is plugged into a power source. (2) Aside from a brownout, a power surge can cause spikes on your board. (3) An improperly installed Memory (RAM) can cause your motherboard to fail. (4) Liquid damage is one of the most common, whether from a spilled coffee or water. The liquid damage leads to a short circuit that causes board failure. If you have a motherboard that has failed or is malfunctioning, PC Repairs Northlakes can repair it or replace it. We also repair liquid damaged motherboards, saving you hundreds of dollars. Our technicians handle sensitive peripherals such as the motherboard with utmost care. Proven and tested by our previous customers, PC Repairs Northlakes won’t fail you. A DC Jack is the small hole that connects your charger to your laptop’s motherboard. Your DC Jack or commonly known as your charger port can be diagnosed as broken for various reasons. (1) Does your laptop only charge when the cord is held on a certain position? (2) Does it turn off when being moved? There are a lot more signs that your DC Jack is not working properly or not working at all. When a DC-in jack fails, the best course is usually a replacement. This replacement may require soldering skills and should not be attempted by someone without experience. 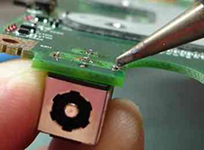 PC Repairs Northlakes have technicians that are experienced in soldering such pieces to the motherboard. This tasks require great care and precision for a slight mistake may cause a bigger problem to your motherboard. Soldering tools are meant to connect some part through application of heat and melting a part of your motherboard is troublesome. We got a habit of staying on coffee shops and do work with our laptops. Accidents happen, a lot. Have you spilled coffee on your laptop keyboard/touchpad? Or some keys suddenly stop working? 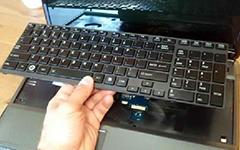 Your laptop keyboard might need some repair or worse a replacement. Bumps, spills and a normal wear and tear effect can cause this problem. PC Repairs Northlakes can help you diagnose what’ up with your keyboard. After a thorough checking, we can also provide you repair or replacement service for your Keyboard. Do not worry, our technicians got this. Plus, our technicians are experienced and certified. When a laptop gets a little older, its performance might also reflect its age. After using your laptop for endless word processing or management tasks, it might run slower as it ages. To bring back your laptop’s smooth and fast performance, a technician can get it tuned up. There are several ways that your laptop can be tuned up, upgrading your hardware or checking for software problems. Our technicians here ate PC Repairs Northlakes can give your laptop the appropriate tune up. We’ll provide your laptop what it needs and consider your budget if you ever opt for an upgrade. A guaranteed quality service for our customers will be waiting. Doing a lot of recording and management lately? You might need a new Laptop! Or if you already bought a new one, you have to make sure that your laptop is packed with all the things you need. PC Repairs Northlakes can help you check out compatible devices that you can connect to your laptop for specific use. All hardware drives must be installed and updated. Our technicians will make sure that your new laptop is all set! As curious individuals and learners, we often browse the internet. For work, we got all kinds of external storage devices connecting to our laptops. To know more about Virus Infection you can read our article here. PC Repairs Northlakes can provide you a guaranteed virus removal service. Our technicians can get rid of the virus , malware or spyware from your laptop. It’s a great habit to keep your laptop clean and healthy. Your companion in your work and entertainment deserves proper care and maintenance. Laptops are prone to problems that are not easily detected or does not show any signs that they are there. 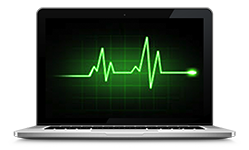 You can entrust your Laptop’s regular health check to PC Repairs Northlakes. Our technicians will definitely make sure that your computer is in great shape. Our laptops don’t have all of the software that we need. We sometimes need additional software but we are afraid to install them ourselves because of the danger of virus infection or malware. Sometimes, our software starts to become unresponsive when we use them. They might need fixing before they become totally unusable.